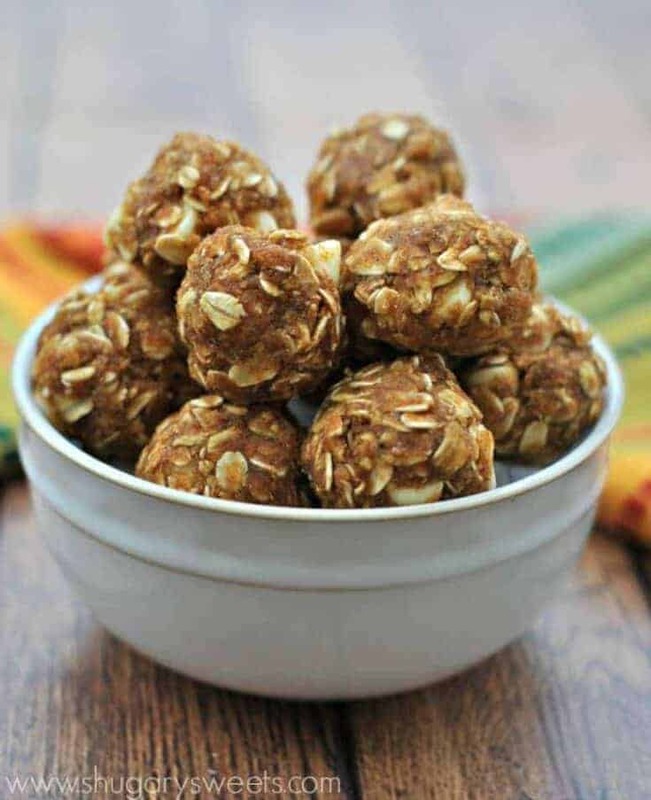 Chewy, sweet and flavorful, these Pumpkin Bites will give you the energy you need after a workout without the guilt! So the New Year is in full swing. My muscles are killing me. I took off the last two weeks of December from the gym, and started back up yesterday. Oh my what a difference it makes to take time off. I’m in pain. But, it’s okay. I need to kick myself in the rear to work off the extra pounds I gained over the holidays (can I get a ‘what what’)! No matter how healthy I try to eat, I still have a vicious sweet tooth that needs to be satisfied. These pumpkin energy bites are just what I crave after a hard workout! They are based off of THIS skinny cookie recipe. As for New Years Resolutions….I like to add things to my life. This year, more Bible study time, more weight lifting and more veggies each day are the additions! What kind of things do YOU change in the New Year?? Combine all ingredients in a large bowl until completely combined. Scoop into one inch balls. Store in refrigerator in an airtight container. ENJOY! 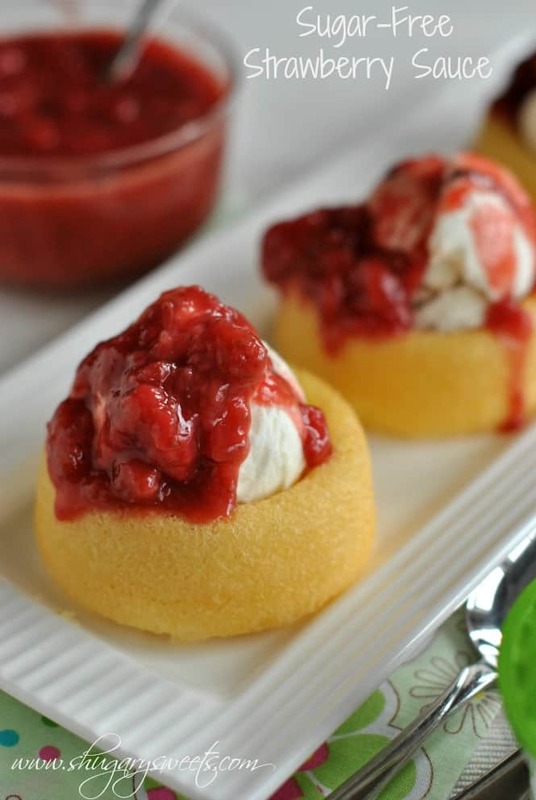 Sugar Free Strawberry Sauce…perfect on yogurt, oatmeal, low fat icecream, and more!! 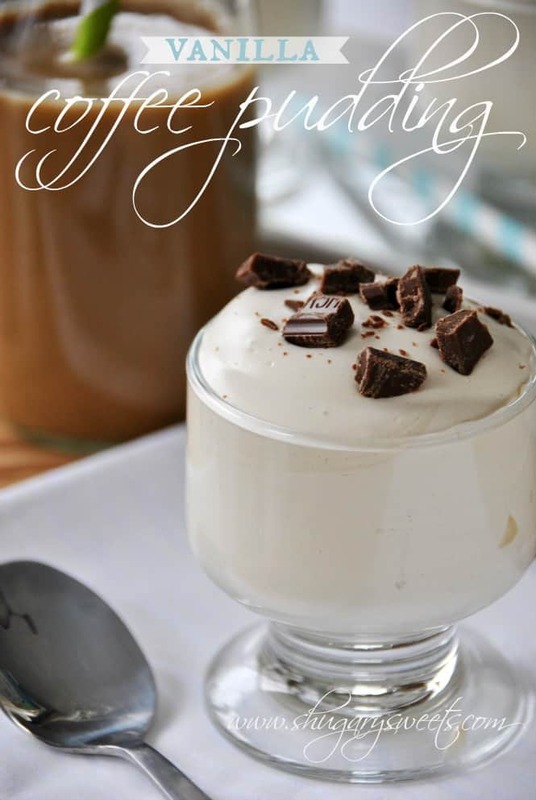 Vanilla Coffee Pudding…a guilt free treat! 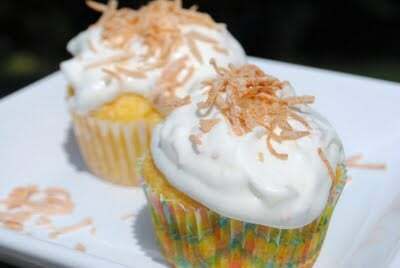 Pineapple Coconut Cupcakes…a lighter version cupcake with a creamy topping! 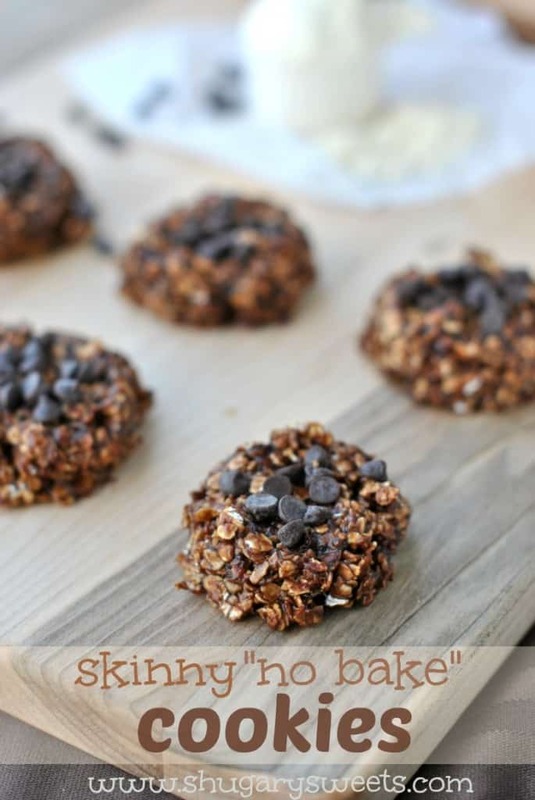 Skinny No Bake Cookies…another healthy post workout treat! Finally, still looking for workout inspiration? Check out my “Getting Fit and Healthy” Pinterest Board for easy tips and workouts for home! I need these today Aimee! I’m done with sweets! I need energy to take down my Christmas tree and possibly to shovel! Don’t remind me! I went running and it kicked my tail. Why does my sweet tooth always get in the way? 🙂 These cookies have everything I would ever want – pumpkin, oats, honey, and hey, why not white chocolate! 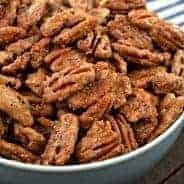 Love that they are no bake AND healthy! Pinned! I’ve been playing around with energy bite recipes this week, and these look perfect. I’ve eaten so many sweets lately that I’m actually craving healthy, which is unusual for me! I am craving healthy too, shouldn’t last too long, Valentine’s Day is right around the corner! Such a great idea Aimee! I need to make energy bites, but I’d probably eat them all. I worked out last Thursday with my trainer…and I literally could not walk or sit without my hands guiding me for 4 days. I’m not even exaggerating. Oh I totally believe you. I’m hurting. No pain no gain, right??? These look amazing! Packed with health benefits and delicious to boot! I could see myself carrying these pumpkin bites around in a ziplock bag in my purse and snacking on them throughout the day. mmmm!!! Happy New Year! My kids enjoyed these after sports too, and I loved having them after workouts. A great hunger satisfier! These sound insanely amazing….so many good spices in there. I bet these are the perfect sweet fix after a workout. New Years resolutions for me include more bible study, working out more, and improving my photography on the blog. Love your resolutions 🙂 My bible study just finished Crazy Love (it was awesome). As for photography, Pinch of Yum’s food photography ebooks are awesome!!! Worth every cent. I could eat 20 of these, post workout not! The combination of pumpkin and white chocolate? I am allll over that! Plus, the whole one step ingredient list thang, does not hurt either! Yum! The easier the better, right?? I could sure use some of these right now. I have no energy or motivation today. These look good. I’ll have to make a batch this weekend for my after workout snack. I’ll give you a what what as I’m hitting the gym extra hard too! These look so good, especially since I’ve been craving pumpkin again! I crave (and eat) pumpkin all year long….I just don’t share new recipes all year for it 🙂 Keep up the gym work!! I definitely need more energy in my life and these look like a tasty way to get it!! Now off the the gym I go, as I also have some calories to work off from the holidays!! OMG! 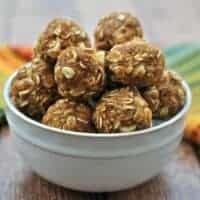 These “Skinny Pumpkin Energy Bites” sound amazing especially after a long run. I am really going to have to try these. Thanks for providing this, I can’t wait! Love this idea for a delicious and healthy treat that I can snack on all day long! Thanks Sues, Happy New Year!! Hooray for getting back to the gym! I know it felt good to get back after a two week break! I love these little healthy treats. These would be perfect to take to work for an afternoon snack! It feels good to be working out again, like a fresh start! My muscles don’t seem to agree though, haha!! 12+?? Yikes. Make our 5 inches seem measly. Looks like a shoveling workout is in store for you!! heh…I finally broke down and got a snow blower a couple days ago. Still a bit of a workout, but nothing like doing it by hand! 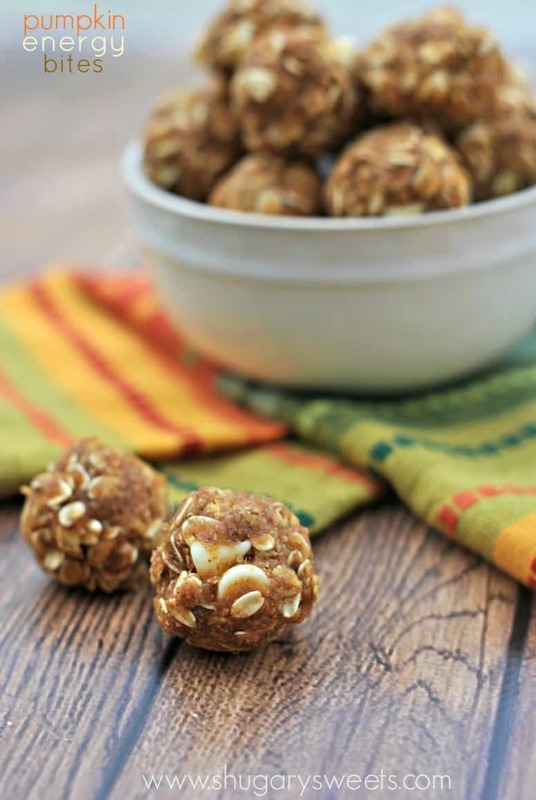 These energy bites look like the perfect way to curb my sweet tooth! They satisfy quite nicely! Happy New Year Jessica! I was just thinking that I needed some pre/post exercise snacks. These look perfect. Loving these little bites of goodness Aimee! Definitely a fun little treat that you can feel good about! anything that satisfies my sweet tooth and is healthy is top notch in my book! I don’t think I could go a day without a sweet treat. These sound great!! Is there a replacement for the wheat germ? Just not something I have on hand. Oooh! I *think* I may have everything on hand to make these babies!! Yum! Do you know what the nutritional value is for these? I’m a Weight Watcher and would love to try but really need to know what to calculate. if you have etools go and do recipe builder and it will give to you. I don’t calculate nutrition here, but I know there are several websites you can google that will allow you to enter ingredients of a recipe and it will give you nutritional count. Good luck! Oh these look so yummy! I’m am doing some crossfit workouts so these are just what I need! These are wonderful but how many calories per ball??? Where can I find the calorie content for these recipes? hoping to give one thing again and aid others such as you helped me. These are great!! Even better with coco powder!!! 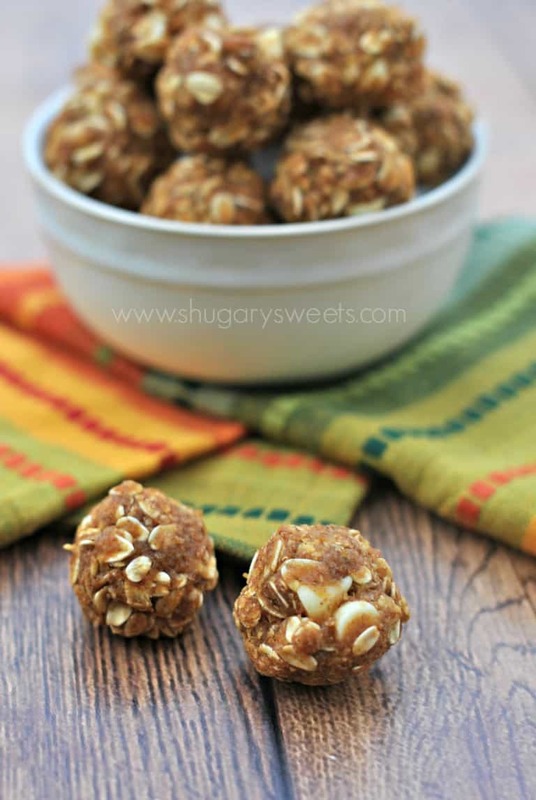 I love energy balls and these pumpkin ones are just what I need to fall. One question, is there another ingredient that I can sub for the wheat germ? I’m not really a fan an I don’t have it on hand. I have only ever used the wheat germ. Sorry! 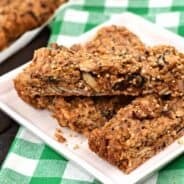 Can ground flaxseed be substituted for the wheat germ in the skinny pumpkin energy bites? 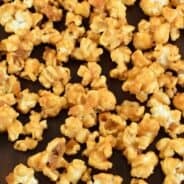 Any nutrition facts with your recipes? Calories – Carbs. Maybe I just missed them? White morsels. I will try the wheat germ. These do look good though.